The New York Yankees pitching staff gave up 12 hits and nine runs in a game only played through the top of the seventh, and called because of rain. In contrast, the Yankees had seven hits and scored six runs in six innings of at-bats, and lost to the White Sox 9-6. 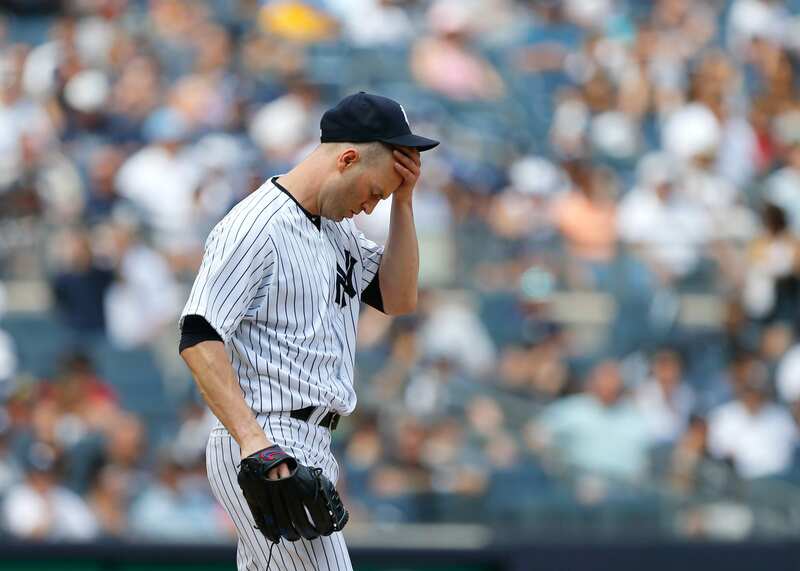 JA Happ was hit hard for his third straight time to open the 2019 campaign. On Friday, he gave up nine hits and six runs while walking two and striking out five in just four innings of work. Happ gave up an RBI single in the first, then worked out of trouble in the second and third. In the fourth, he gave up a two run double to Leury Garcia to cut the Yankee lead down to one. After a run in the bottom of the inning for the Yankees, Happ gave it all back when he served up a fastball down the middle for Yonder Alonso to put it in the short porch in right. This tied it up at five. The next batter that came in was Joan Moncada, and he singled to pull Happ out of the game. Jonathan Holder came right in and gave up a two run home run to Eloy Jimenez. The home run was the first of his career. The next time Jimenez was up, it was against Chad Green, but the result was no different. A home run to deep center, and then James McCann hit one to right to make it back-to-back jacks for the White Sox. Friday’s game was called just after the two home runs. Happ’s poor start raises his ERA up to 8.76, and raises struggling Chad Green’s to 11.81. Despite the fact that the Yankees lost by three, their offense was pretty good, especially with three less innings of at-bats. The Yankees started strong by putting up two in the first and the second off White Sox starter Lucas Giolito. In the first, DJ LeMahieu drove in two with an RBI single to right. An inning later, Austin Romine hit an RBI single and Aaron Judge lined one to right, good enough to score Giovanny Urshela. Come the fourth, it was a Gardy Party as Brett Gardner mashed a two out fastball to right for a solo-shot. To score the final Yankee run, Urshela had an RBI single to drive in LeMahieu in the sixth. The Yankees will continue to look for guys to step up on offense, especially with Gary Sanchez now on the IL. Game two of the series will begin on Saturday at 1:05PM on YES Network, Fox Sports Go, and ESPN+. CC Sabathia gets the ball for his first start of his final season, and former Yankee Ivan Nova gets the ball for Chicago. New York Yankees: First Base Competition Continues on Could Mike Ford Enter the Fray?